About 1.62 billion people suffer from anemia globally (1). This condition mainly affects children and women of reproductive age. Anemia occurs when your RBC count or hemoglobin levels plummet, leading to palpitation, cold hands and feet, fatigue, and pale skin. If you’re experiencing any of these symptoms, you need to pay attention! 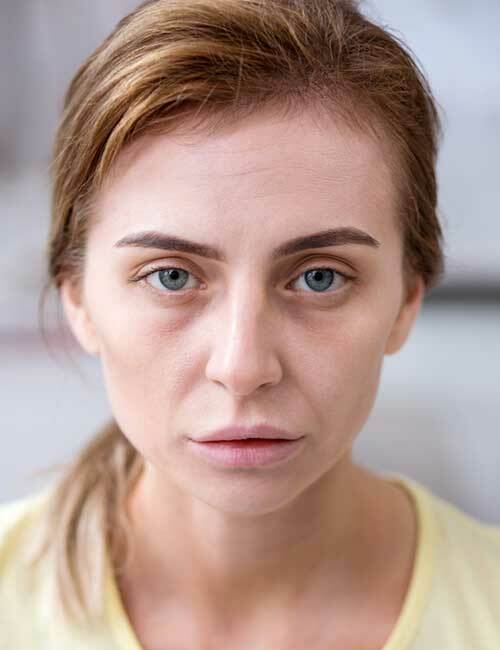 If left untreated, this anemia can become fatal. However, by taking a few small steps, you can easily treat the condition and prevent it from becoming a recurring health issue. 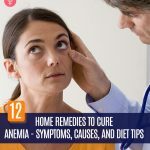 Give this post a read to find out about the 12 best home remedies for anemia that really work. But first, let’s understand what anemia is all about. Swipe up! What Are The Best Iron-Rich Foods For Anemia? Anemia (or anaemia) is a condition in which the RBC count or hemoglobin levels drop below normal levels. RBCs help transport oxygen to all parts of your body (2). Hemoglobin, an iron-rich protein present in RBCs, imparts the red color to the blood cells. 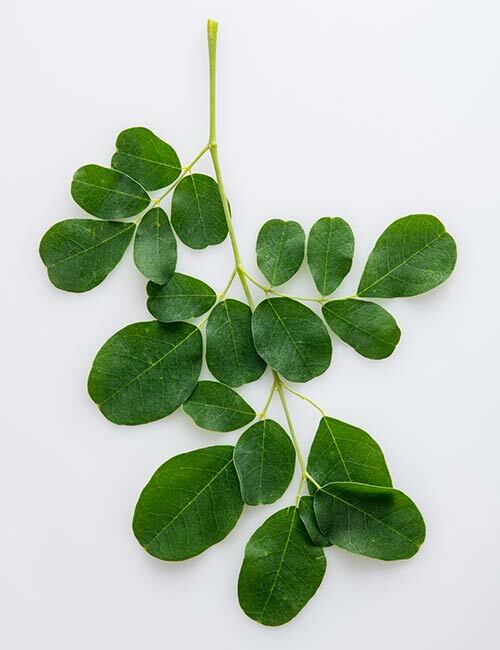 It also helps bind oxygen, fight infections, and prevent blood loss by inducing blood clotting. Anemia results in less oxygen reaching various parts of your body. As a result, you develop the following symptoms. Let’s take a look at the causes of anemia. Your body is not producing enough RBCs. RBCs are getting destroyed by your body. Blood loss due to menstruation, injury, or other causes of bleeding. Iron deficiency anemia is the most common type of anemia. Iron is essential for human beings to produce hemoglobin. Blood loss, poor diet, and your body’s inability to absorb iron from food can lead to iron deficiency (3). As a result, your body fails to produce enough hemoglobin, which leads to anemia. This type of anemia is caused when your body doesn’t produce enough red blood cells (RBCs). RBCs are produced in the bone marrow every 120 days (4). When your bone marrow fails to produce RBCs, the blood count falls and leads to anemia. Sickle cell disease, a serious blood disorder, causes sickle cell anemia. The red blood cells are flat disc-shaped or sickle-shaped in this type of anemia. The RBCs contain abnormal hemoglobin, known as the sickle cell hemoglobin, which imparts the abnormal shape to them. Sickle cells are sticky and can block blood flow (5). This type of anemia is caused when the red blood cells are destroyed before their normal lifespan is over. The bone marrow is unable to produce new RBCs fast enough to meet the body’s demand (6). Like iron, vitamin B12 is also needed for the proper and adequate production of hemoglobin. Most animal products are rich in vitamin B12. But if you are vegetarian or vegan, you may have vitamin B12 deficiency. This can inhibit hemoglobin production in your body, resulting in anemia. 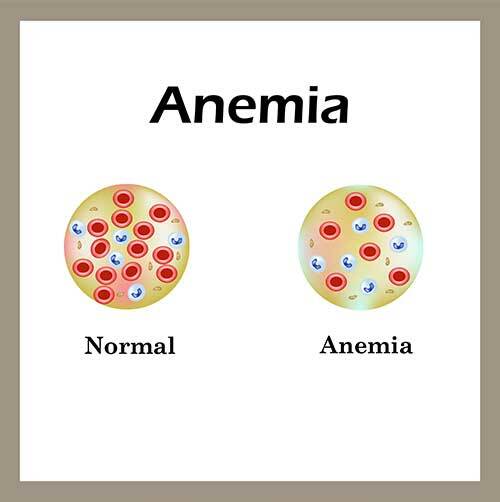 This type of anemia is also known as pernicious anemia (7). Thalassemia is an inherited genetic disorder in which the body doesn’t create enough red blood cells. As a result, people with thalassemia can have mild to severe anemia (8). Fanconi anemia is a rare genetic blood disorder that leads to bone marrow dysfunction. Fanconi anemia prevents the bone marrow from producing enough RBCs. It can also cause the bone marrow to produce abnormal RBCs. This can result in cancer and affect the organs and tissues of your body. Children who inherit Fanconi anemia have birth defects (9). 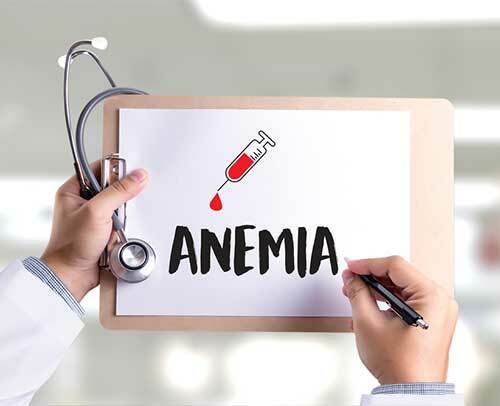 Excessive bleeding during menstruation or bleeding caused by injury, surgery, cancer, or urinary tract or digestive tract dysfunction can lead to blood loss anemia (10). 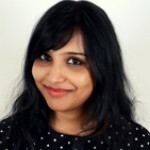 So, what can happen to you when diagnosed with any of these types of anemia? Here are the risk factors you must know. Women and children are more prone to developing anemia than men. Anemia in pregnancy is common but should not be left untreated. Candida infection can prevent your body from absorbing B vitamins, and vitamin B12 deficiency can lead to anemia. Digestive issues like Crohn’s disease, ulcers, and IBS can cause anemia. Taking pain medications frequently can also be a risk factor for anemia. People over 65 years of age can develop anemia. Looking at the signs, symptoms, and risk factors of anemia, you may jump to the conclusion that you have anemia. That may not be true. Here’s how you can find out if you have anemia. Here are the steps that your doctor will take to confirm if you have anemia. Since a few types of anemia are genetic, your doctor may want to know if anyone in your family has anemia. Listen to your heartbeat to know if there is any irregularity. Listen to your lungs to check if your breathing is uneven. Feel your abdomen to check the size of your spleen or liver. 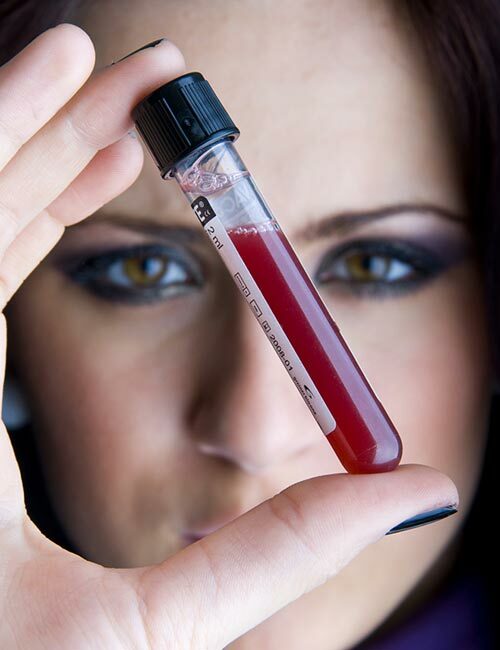 Complete blood count test checks your hemoglobin and hematocrit levels. It also checks RBCs, WBCs, platelet count, and Mean Corpuscular Volume (MCV). Your doctor may ask you to get a reticulocyte test (number of young RBCs) done. They could also ask you to undergo a test to know the type of hemoglobin in your RBCs and check the iron levels in your body. If your blood count or hemoglobin is low, don’t panic. You can reverse this situation and lead a healthy life. 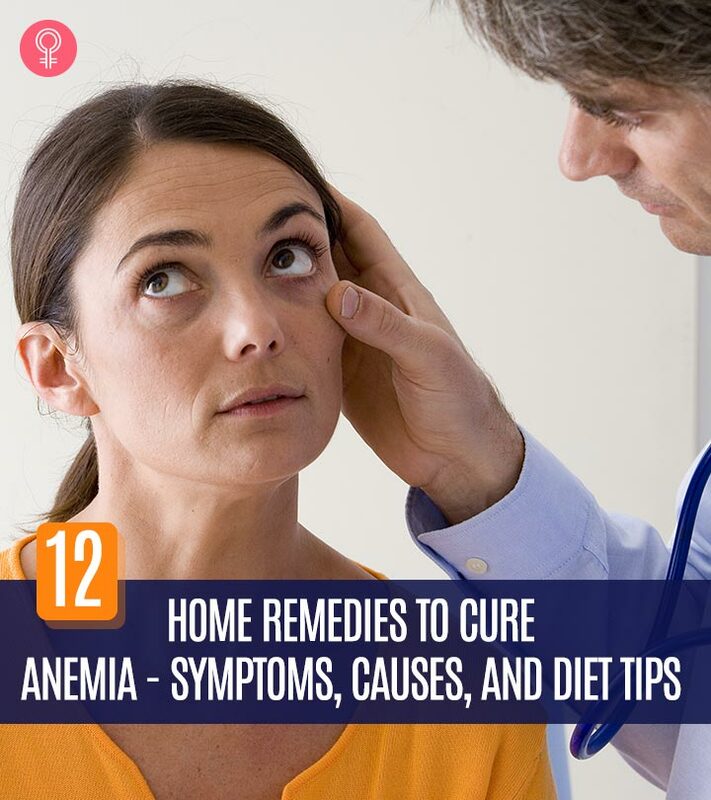 Here are the best home remedies to treat anemia. Chop the leaves and blend them well. Add honey, stir well, and drink. Drumsticks are loaded with vitamins A and C, iron, calcium, and magnesium that can help cure anemia. If you are pregnant, take your doctor’s opinion before consuming drumsticks. Crack open the eggs on a hot non-stick pan. Sprinkle some salt and cook the eggs for 2-3 minutes. Add the baked beans, blanched broccoli, and baby spinach to the plate. Vitamins play a crucial role when it comes to cell function and survival. Deficiency in vitamins can cause serious diseases, including anemia. Consuming greens, eggs, and beans on a regular basis prevents vitamin B12 and folate deficiency. You can also take doctor-prescribed vitamin B12 and folate supplements. Do not take vitamin supplements unless your doctor prescribes them. Follow the dosage. Add a tablespoon of blackstrap molasses to a cup of warm water or milk. It is best to consume it in the morning or in the evening about 2 hours before going to bed. 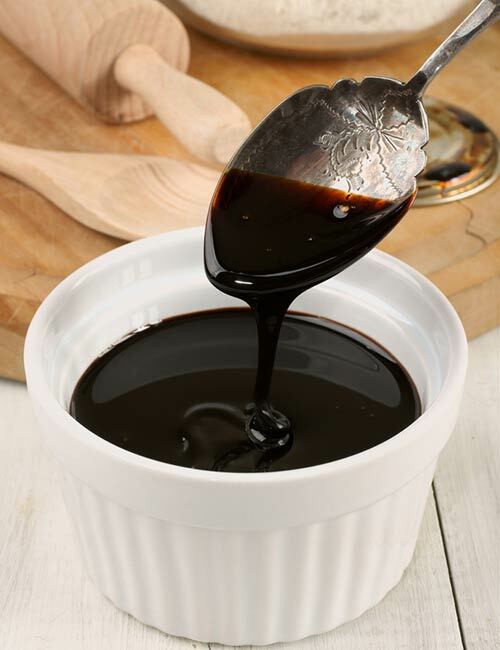 Blackstrap molasses is a sweet by-product obtained from refining sugarcane. It is low in sugar but rich in vitamins and minerals like vitamin B6, magnesium, calcium, and selenium. Consuming blackstrap molasses can help increase the iron levels in your body, thereby improving your hemoglobin levels and RBC count (11). Do not consume it in excess amounts as it may cause diarrhea and loose stools. Toss the chopped veggies, honey, salt, and lime juice into a blender. Pour the smoothie into a glass and drink it. Consume it for breakfast or an hour before your workout. Green veggies like kale, spinach, radish greens, mustard greens, arugula, broccoli, and Swiss chard are great sources of iron. Consuming these on a regular basis can help treat anemia. Do not consume green juice or green veggies in excess. Have a maximum of 3-4 cups of greens per day. Scoop the grapefruit into a blender. Chop the kiwi with the peel and add it to the blender. Chop the apple and toss it in the blender. Add grated ginger and a teaspoon of honey to the blender. Pour it into a glass and drink it. You can have vitamin C-rich foods for morning detox, breakfast, lunch, or dinner. 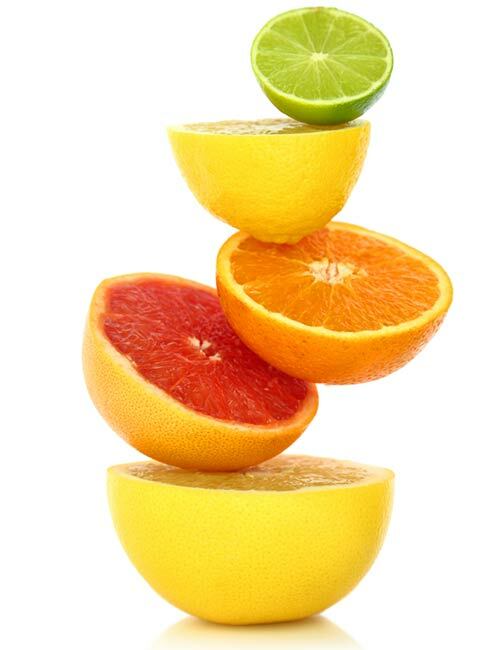 Vitamin C is mostly found in citrus fruits. Fruits like orange, apple, lime, lemon, grapefruit, tangerine, gooseberries, apple, and berries are loaded with vitamin C and other essential vitamins and minerals that help in the production of RBCs and hemoglobin. This drink is a good source of vitamin C and will help rev up your hemoglobin levels and iron absorption. Avoid consuming too much vitamin C in a day to prevent acidity. Also, avoid consuming it after drinking milk or any milk-based products. Blend the yogurt using a blender. Scoop it out into another jar. Add water, salt, lime juice, chopped coriander leaves, and cumin powder. Stir well and drink up. Consume it after lunch or dinner. It is a well-known fact that probiotics help improve digestion and gut function. That’s because probiotic-rich foods contain good gut bacteria. Scientists have found that probiotics increase the levels of vitamin B12 and iron (12). Patients with anemia can improve their low RBC count and hemoglobin levels by consuming yogurt, a good source of probiotics. You can consume yogurt as it is or prepare buttermilk and drink it. Avoid consuming probiotics in excess to prevent bloating and digestion issues. Soak the figs in a bowl of water overnight. Add them to your breakfast bowl and enjoy! The plump and sweet figs are loaded with iron. They are also good sources of vitamin A, folate, and magnesium (13). Soaking figs helps them get digested quickly. 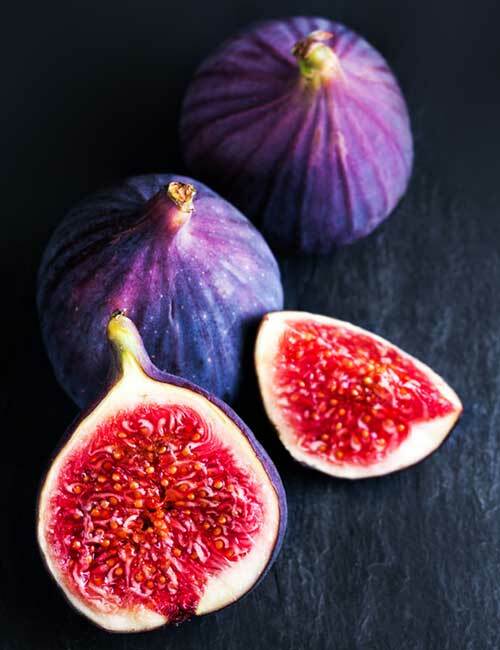 Overconsumption of figs can lead to digestive issues. If you are pregnant, consult your doctor before consuming figs. Wash, peel, and chop the beetroots. Pour the mixture into a glass and squeeze in the juice of half a lime. Consume it for breakfast or an hour before working out. Beetroot is one of the greatest sources of iron, magnesium, calcium, vitamin A, and folate (14). A study found that giving adolescent girls beetroot juice mid-morning for 20 days showed significant improvement in hemoglobin levels (15). The lime juice not only enhances the flavor of your beetroot smoothie but also adds an extra dose of vitamin C to it. Talk to your doctor before consuming it if you are pregnant or lactating. Wash, peel, and slice the bananas. Add them to your breakfast bowl. Drizzle a teaspoon of honey on top. Enjoy! You can have bananas for breakfast. You can improve your iron levels by a significant margin by consuming green or ripe bananas. Bananas are loaded with iron, potassium, vitamin C, and folate (16). They provide your body with the essential nutrients required for generating healthy RBCs and improving hemoglobin levels. 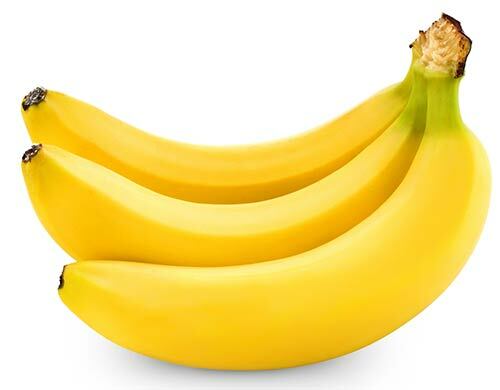 Since bananas are high in calories and potassium, consuming too many of them can cause weight gain and hyperkalemia. Soak the dates and raisins in a bowl of water for 20-30 minutes. Strain the water and use it for consumption. Have raisins and dates in the morning by adding them to your breakfast bowl, smoothies, salads, or desserts. Dates and raisins are good sources of iron and vitamin C. Vitamin C helps boost your immunity and improves iron absorption. Dates and raisins are high in sugar and may raise your blood sugar levels. Store water in the copper water bottle and drink it as required. 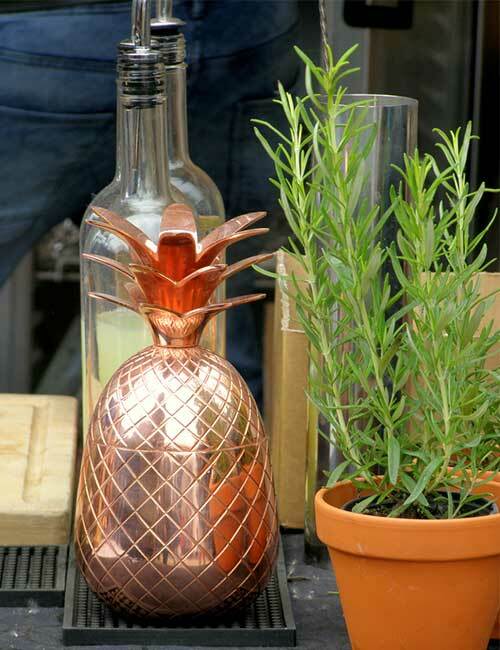 Consume copper-infused water after breakfast, lunch, or dinner. Copper deficiency can also lead to anemia (17). So, you must consume enough sources of copper to keep your hemoglobin and iron levels up. You may consume up to 10 mg copper per day. Excess copper can lead to fever, nausea, and diarrhea. Tip: Consume dietary sources of copper like chicken liver, apricots, dark chocolate, lentils, chickpeas, mushrooms, sunflower seeds, quinoa, and turnip greens. Soak the black sesame seeds in water for 2-3 hours. Strain the water and make a thick paste of the sesame seeds. Consume the black sesame seed paste with a teaspoon of honey. Consume it after breakfast every day. Black sesame seeds are rich in folate, iron, calcium, and magnesium and highly essential for your diet if you are anemic. They increase your iron levels and help in the absorption of iron in your system. Avoid this home remedy if you are allergic to sesame seeds. These are the 12 home remedies that you can try out to improve your red blood cell count. Here are a few iron-rich foods you can add to your diet to treat anemia. Banana: It is rich in iron, potassium, dietary fiber, and other vitamins and minerals, which make it the perfect food for preventing and treating anemia. Beetroot: Beetroot is one of the healthiest and richest sources of iron. Consuming it regularly can help treat and prevent iron deficiency. Sweet Potato: Sweet and good for weight loss, sweet potatoes are also a good source of iron. You can consume about one sweet potato per day. Spinach: Spinach is loaded with good carbs, vitamins, and minerals. Consuming spinach on a regular basis can help treat anemia. Legumes: Beans, lentils, and peas are also great sources of iron and you must add them to your diet to improve hemoglobin levels and RBC count. Protein-Rich Foods: Meat, fish, eggs, and tofu are also loaded with vitamin B12, folate, and iron that are known for treating anemia. You may not like some of the foods we listed above. But consume them anyway if you want to treat anemia and get back to a healthier state. You can also follow the prevention and treatment tips listed below to keep anemia at bay. Sorry to break the news to you, but red wine is a complete no-no for now. It prevents iron absorption and interferes with your medicines and dietary approach to treat anemia. Despite being good for weight loss and good health, both black and green teas prevent iron absorption. So, avoid these teas. If you are not a coffee addict, good for you! But if you are, I totally understand the pain of seeing your favorite beverage mentioned on this list. Coffee inhibits iron absorption. But the good news is, you can have it after 2 hours of having an iron-rich meal. Avoid drinking it an hour before or after having a meal. Doing yoga and exercises on alternate days can help improve blood circulation and prevent you from feeling fatigued and weak all the time. However, exercise when your condition has improved a bit and you feel stronger. Step into a cold bath! A refreshing bath in cold water can help treat anemia. Shocked? Studies suggest that a cold water bath helps the body reach the ideal temperature needed for the proper flow of blood to all parts of the body. While fermented soy products like sauces can aid iron absorption, non-fermented ones prevent it. So, avoid non-fermented soy products until your RBC count and hemoglobin levels are back to normal. To conclude, anemia is a common blood disorder. But it can be cured if you seek proper help, know what to eat and avoid, take supplements, and keep a close eye on your health. These simple home remedies are the best and have worked for many. So, go ahead and follow these tips and enjoy your life to the fullest. Take care! If left untreated, anemia can become fatal. So, you must not ignore it. Talk to your doctor, take supplements, and follow an iron-rich diet to improve your condition. How long does anemia last? Once you start consuming iron-rich foods and taking supplements, you will see an improvement soon. So, it really depends on the precautions and measures you take to prevent it. Effects Of Nutrient Deficiency On The Nails: What Do They Indicate About Your Health?